A common eastern bumble bee male on a flower. Photo by Brett Forsyth. There’s been a buzz in the air about bees lately, and for good reason: Bees are major pollinators of both wild plants and agricultural crops, and some species are declining because of threats like habitat loss, climate change, and agricultural intensification. Many people assume the honey bee is the top pollinator among bees. But bumble bees, the honey bee’s bigger, hairier, and louder cousins, are just as important for pollination*. (For some plants, bumble bees are even better pollinators than honey bees.) North America is home to 46 bumble bee species that collectively visit hundreds of types of plants. Also, a few bumble bee species are commercially reared and sold to growers to pollinate certain crops, like blueberries and greenhouse tomatoes. Unfortunately, some bumble bee species are declining or endangered, and the status of many other species is unknown. Bumble bees are historically understudied, and so for some areas, there aren’t many bumble bee records (documented sightings of individual bumble bees with associated reference information, like sighting location, date, and species name). Without good records, it’s difficult to know how many individuals of certain bumble bee species there are now and how large their geographic range is, and how their population sizes and ranges may have changed over time. Brett Forsyth, a photographer and naturalist from Guelph, hopes to help address this problem and raise awareness about bumble bees with his new online project, Photographing Bumble Bees for Identification. A pinned rusty-patched bumble bee, an endangered species in Ontario. Photo by Brett Forsyth. Originally from British Columbia, Brett became interested in bumble bee conservation when he moved to Ontario. Currently, there are three bumble bees on the Species at Risk in Ontario list: the rusty-patched bumble bee (Bombus affinis, endangered), the gypsy cuckoo bumble bee (Bombus bohemicus, endangered), and the yellow-banded bumble bee (Bombus terricola, special concern). Brett decided to figure out how to photograph these at-risk species, and in the process, he discovered that there are relatively poor records of many Ontario bumble bees, especially in the northern and central areas of the province. 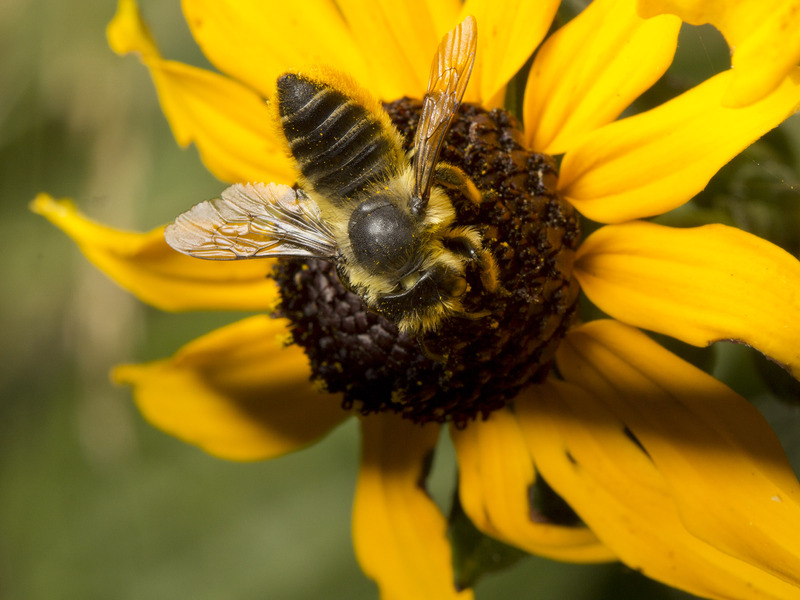 Brett saw a way to improve our knowledge of Ontario bumble bees** via iNaturalist, an existing online citizen science project aimed at documenting and sharing observations of global biodiversity. 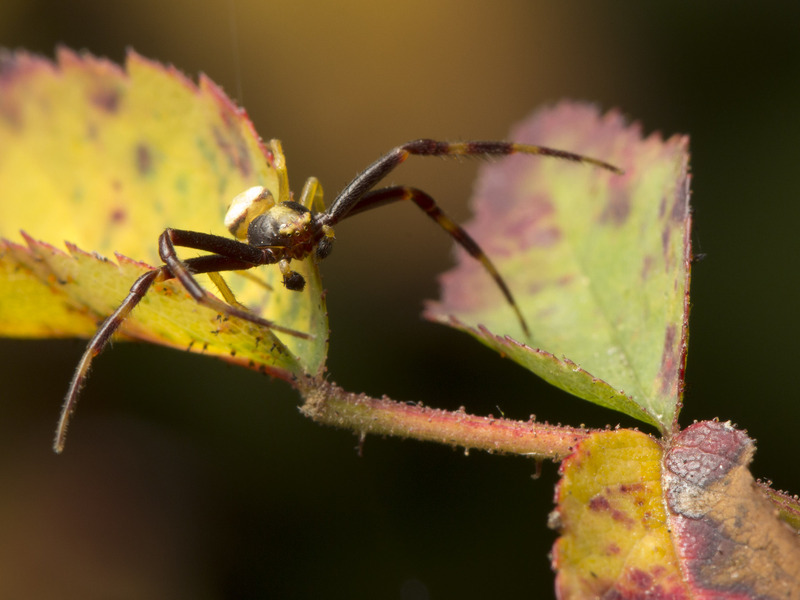 Users create free profiles and upload photos of their biodiversity finds, where they can then be viewed by other users and identified by experts. iNaturalist educates people about the natural world, but it also can provide scientists with valuable data that can be used to track changes to species’ geographic distributions and population sizes. 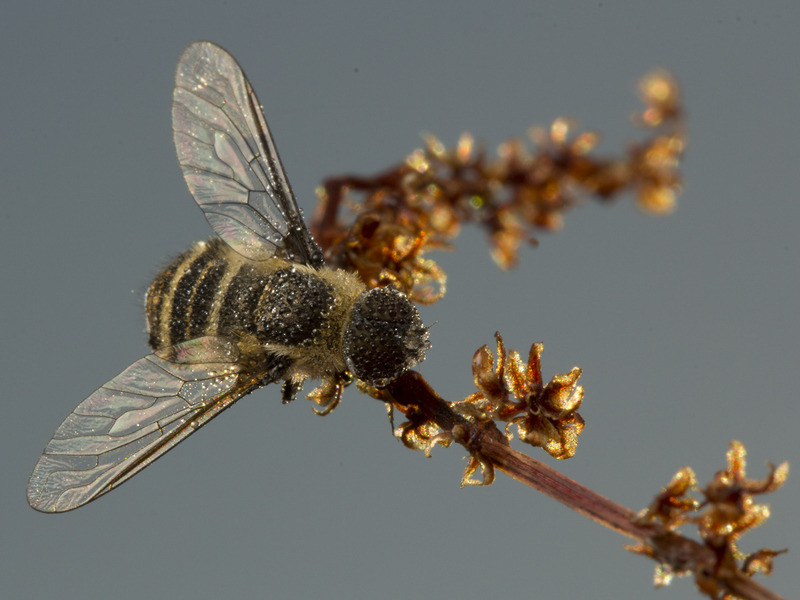 For those data to be useful, the species in the uploaded photos must be identifiable, which requires high-quality images that contain key body structures needed to identify the organism. But as anyone who’s ever tried will tell you, getting a bumble bee to sit still for a picture is tricky. As a photographer, Brett saw an obvious solution to that problem: simply teach people to take good pictures of bumble bees with their mobile devices, and in turn, get better data on Ontario bumble bees. Pocket guide to photographing bumble bees by Brett Forsyth. In a series of videos on the Photographing Bumble Bees website, Brett takes viewers step-by-step through the process of taking pictures of bumble bees and uploading their photos to the Bumble Bees of Ontario project on iNaturalist. He also provides a free, printable pocket guide that outlines the most important tips for photographing bumble bees and gives descriptions of the three at-risk species in Ontario. Brett has four general tips for getting great pictures of bumble bees. First, get as close as you can to the bumble bee. (Don’t be scared of that stinger–bumble bees really aren’t very aggressive!) Second, get separate shots of the bumble bee’s back, side, and face. These areas contain features that are important for identifying bumble bees. Third, slow motion video can be used to get good images of fast-moving insects: It produces a bunch of still images that you can sort through later to find the perfect shot. And fourth, find an app that will allow you to manually focus your phone’s camera. Brett hopes his project will inspire 250 people to join the Bumble Bees of Ontario project on iNaturalist and generate at least 1,000 new bumble bee records from central and northern Ontario. More generally, he wants to get more people interested in bumble bees and the underappreciated world of insects. So help scientists help bumble bees: Grab your phone, get outside, and start snapping photos. *This article is focused on bumble bees, but there are many other types of bees. In fact, there are around 4000 species of bees in Canada and the US. All of those bee are also very important pollinators, and many of them may also be at risk. (We know even less about other bees than bumble bees.) So please learn about other bees too! **Maybe you’re not in Ontario, but don’t let that stop you from using these tips to photograph bumble bees in your area. Information on any bumble bee species from anywhere is important! http://esc-sec.ca/wp-content/uploads/2019/04/B_impatiens_close.jpg 1067 1600 Angela Gradish http://esc-sec.ca/wp/wp-content/uploads/2017/01/ESC_logo-300x352.png Angela Gradish2019-04-03 11:22:442019-04-03 11:34:38Say Bees! 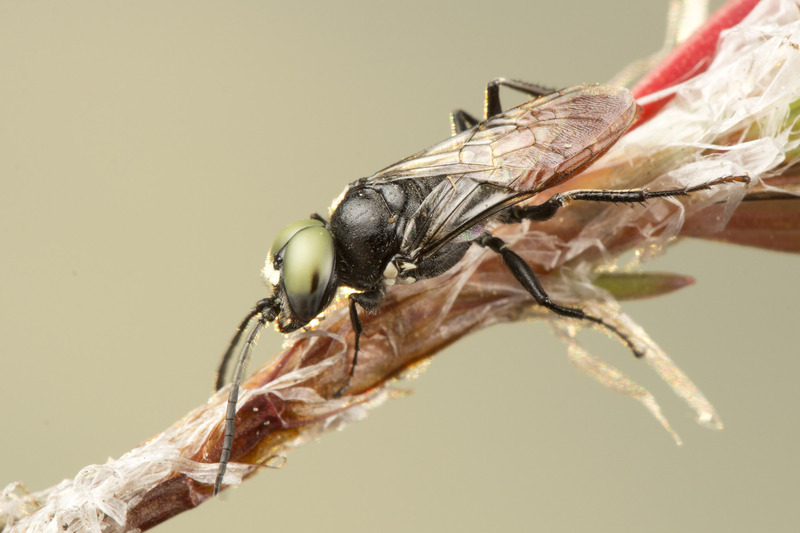 The Fourteenth Annual Photo Contest to select images for the 2019 covers of The Canadian Entomologist and the Bulletin of the Entomological Society of Canada is underway. The cover images are intended to represent the breadth of entomology covered by the Society’s publications. Insects and non-insects in forestry, urban or agriculture; landscapes, field, laboratory or close-ups; or activities associated with physiology, behaviour, taxonomy or IPM are all desirable. A couple of ‘Featured Insects’ (for the spine and under the title) are also needed. If selected, your photo will grace the cover of both publications for the entire year. In addition, winning photos and a selection of all submitted photos will be shown on the ESC website. 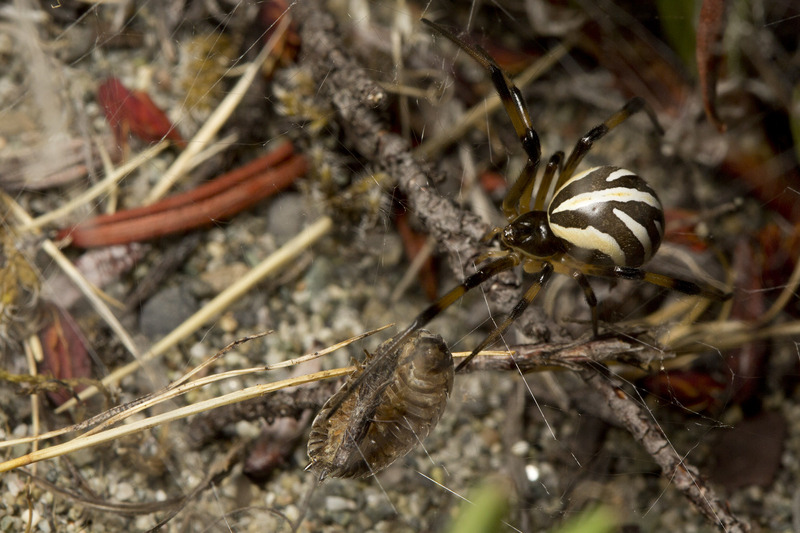 Photos of insects and other arthropods in all stages, activities, and habitats are accepted. To represent the scope of entomological research, we also encourage photos of field plots, laboratory experiments, insect impacts, research activities, sampling equipment, etc. Photos should, however, have a clear entomological focus. Digital images must be submitted in unbordered, high-quality JPG format, with the long side (width or height) a minimum of 1500 pixels. Entrants may submit up to five photographs. A caption must be provided with each photo submitted; photos without captions will not be accepted. 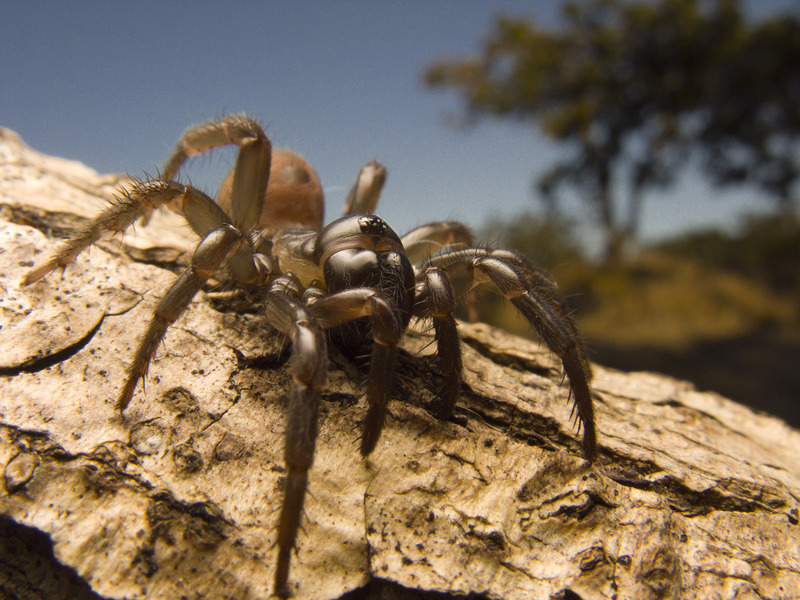 Captions should include the locality, subject identification as closely as is known, description of activity if the main subject is other than an insect, and any interesting or relevant information. Captions should be a maximum of 40 words. The entrant must be a member in good standing of the Entomological Society of Canada. Photos must be taken by the entrant, and the entrant must own the copyright. 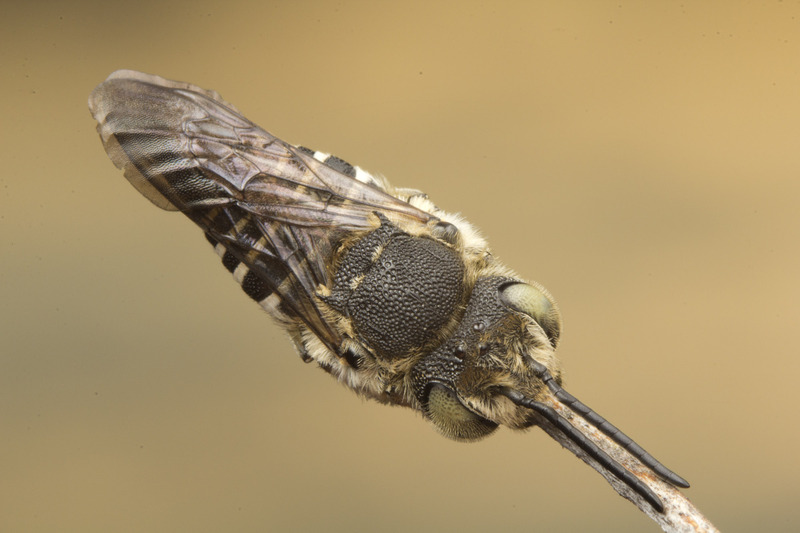 The copyright of the photo remains with the entrant, but royalty-free use must be granted to the ESC for inclusion on the cover of one volume (6 issues) of The Canadian Entomologist, one volume (4 issues) of the Bulletin, and on the ESC website. The judging committee will be chosen by the Chair of the Publications Committee of the ESC and will include a member of the Web Content Committee. The Photo Contest winners will be announced on the ESC website, and may be announced at the Annual Meeting of the ESC or in the Bulletin. There is no cash award for the winners, but photographers will be acknowledged in each issue the photos are printed. Submission deadline has been extended until 10 October 2018. Entries should be submitted as an attachment to an email message; the subject line should start with “ESC Photo Contest Submission”. Send the email message to: photocontest@esc-sec.ca. Extrait de « Dévorés », un roman de science-fiction entomologique post-apocalyptique qui paraîtra aux Éditions L’Interligne (Ottawa) le 7 février 2018. « Dévorés » est le premier roman de Charles-Étienne Ferland, candidat à la maîtrise en entomologie à l’Université de Guelph et cofondateur d’une jeune entreprise qui conçoit des applications mobiles utilisant les technologies d’apprentissage automatique pour identifier les insectes. 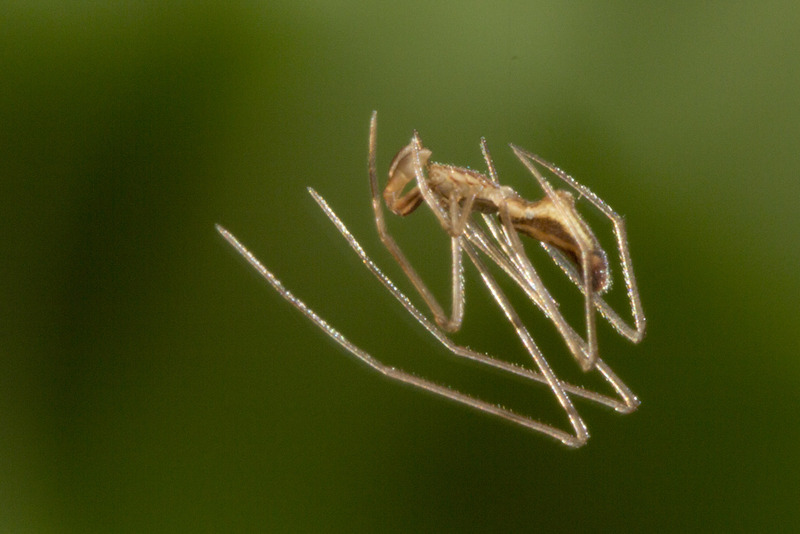 Dans les dix jours qui suivirent le début de l’invasion, les insectes privèrent l’Homme de tout moyen de subsistance. Ils paralysèrent le secteur agroalimentaire, sans toucher aux herbes ou aux arbres incomestibles. Les projets de culture en serre hermétique, et ceux dans les grottes souterraines, furent autant d’échecs. Inexplicablement, l’insecte parvenait à s’infiltrer et à saccager les jeunes pousses. Les tentatives de transmettre un virus aux voraces ravageurs des cultures ou de les empoisonner au moyen de cristaux parasporaux de bacilles furent vaines. L’utilisation de cultivars transgéniques fit chou blanc. L’insecte n’était pas appâté par les attractifs alimentaires synthétiques, ni par des phéromones artificielles développées en vitesse. Il n’existait aucun ennemi naturel apparent. Dehors, des avions survolaient les champs, pulvérisant à profusion de l’insecticide sur les guêpes insatiables poursuivant leur carnage. Malgré la menace, plusieurs groupes environnementaux manifestaient dans les rues. Ils étaient furieux d’assister, impuissants, à la destruction des écosystèmes, cinquante ans après la publication de Printemps silencieux écrit par la biologiste Rachel Carson. Dans les régions nordiques, on construisait des serres isolées. On aménageait des semi-remorques hydroponiques chauffées et éclairées. Malgré les protocoles de quarantaine, les guêpes y apparaissaient dès que les conditions devenaient adéquates pour cultiver. Leur propagation défiait toute logique. Après la disparition de presque toute la nourriture, la plupart des populations animales d’élevage se mirent à décliner à l’instar de l’humanité. Nombreuses furent les familles qui partirent vers les côtes ou vers les régions riveraines. Les populations de poissons diminuaient au rythme extra-industriel de la surpêche. D’autres gens prirent la route du Nord ou des déserts. Plusieurs personnes et animaux moururent de faim. Au cours d’une décade, des émeutes éclatèrent lorsque les supermarchés épuisèrent leurs stocks. Les hécatombes se multiplièrent. Le nombre de croisades égoïstes au nom de la faim grimpa en flèche. La situation donnait lieu à des luttes brutales et sanguinaires entre insurgés et forces armées. Tout cela pour les dernières conserves qui hantaient les étalages des magasins à grande surface. Alors que la faim et la chaleur de l’été devenaient chaque jour un peu plus insupportables, que la Terre semblait tout indiquée pour devenir un désert stérile, la mutation se produisit. Une étrange cascade de transformations génétiques reprogrammant l’insecte. La guêpe adopta une nouvelle proie. Un seul et unique animal : l’Homo sapiens. Le jour de la mutation, la ville devint méconnaissable. De violentes secousses sismiques mirent à terre la moitié des bâtiments, des pylônes de lignes à haute tension et des arbres. Ce même jour, les guêpes femelles émergèrent du sous-sol. On aurait dit une version de l’insecte mâle aux dimensions décuplées. Des monstres capables de découper un homme en pièces. Tous ceux qui étaient à l’extérieur, en voiture, ou même un peu trop près d’une fenêtre au moment de l’émergence des femelles, furent condamnés. Ils se firent happer par les essaims si denses qu’on aurait dit qu’il s’agissait d’un seul et unique organisme, quelque Léviathan issu des Enfers. Les militaires déployés sur le terrain pour assurer un semblant d’ordre ouvrirent le feu. Les cibles étaient trop rapides, trop nombreuses. Les survivants se barricadèrent chez eux. D’autres se regroupèrent dans les souterrains du métro, un des rares endroits où les insectes anthropophages ne s’aventuraient pas depuis la mutation. Dès lors, l’être humain fut restreint à un mode de vie nocturne. Car dès que le soleil se levait, des nuées de guêpes affamées s’accaparaient les villes fantômes. Le jour leur appartenait. Et celui qui s’aventurait à l’extérieur lorsqu’il faisait clair était voué à un destin funeste, poignardé de dards comme César de dagues sur le Champ de Mars. Peu à peu, les autorités se montrèrent plus discrètes jusqu’à ce que l’électricité, les médias, les services, les communications et l’économie devinrent des reliques d’avant la crise. Des vagues de maladies surgirent, exacerbées par les misérables conditions sanitaires quasi médiévales. Entre autres, la dysenterie et le choléra atteignirent bon nombre de survivants. Les fièvres et les infections affligèrent les enfants comme les adultes. Au début, on inhuma les défunts, puis on les brûla – ce qu’il restait d’eux après le festin des guêpes – par incinération massive durant la nuit. D’autres furent empilés dans des fosses communes jusqu’à ce qu’elles débordent et que les dépouilles gisent dans les rues. On ne se donna même plus la peine de s’approcher ensuite. On rompit le contrat social. Devant l’échec de la loi martiale, on renonça aux règles de société, désormais révolues, pour s’en remettre à une nouvelle loi : chacun pour soi. La loi de la jungle. Dans la ville, des bandes d’assassins, de pillards et de brigands se formèrent, prêtes à tout pour mettre la main sur des armes, de la nourriture, de l’essence ou des médicaments en terrorisant les camps de survivants. En voyant s’éroder les fondations de la civilisation, force était de constater qu’avec le ventre vide, l’homme retrouvait un instinct de survie des plus égoïstes. Dans la métropole anarchique qui comptait désormais moins de dix mille âmes, Jack et Frank partageaient leur appartement avec Chad et Maddie. Il valait mieux se tenir à plusieurs. C’était plus sûr ainsi. Le groupuscule partageait un point commun. Aucun d’entre eux n’avait réussi à rejoindre les siens. La famille de Maddie demeurait en Europe. Les trajets transatlantiques, aériens comme maritimes – s’il y en avait encore –, étaient supposément réservés aux ambassadeurs, aux émissaires ou aux plus fortunés. Chad avait perdu ses proches dans les épidémies. Les centres de soins avaient été pris d’assaut et, sans antibiotiques, leurs chances de survie avaient chuté. La dernière fois que Jack avait eu des nouvelles de son père, de sa mère et de sa sœur, ils étaient en voilier sur les Grands Lacs. La famille avait mis le cap sur Main Duck Island, une petite île isolée et inhabitée baignant dans le lac Ontario, qui servait de colonie de pêche au début du 19e siècle. 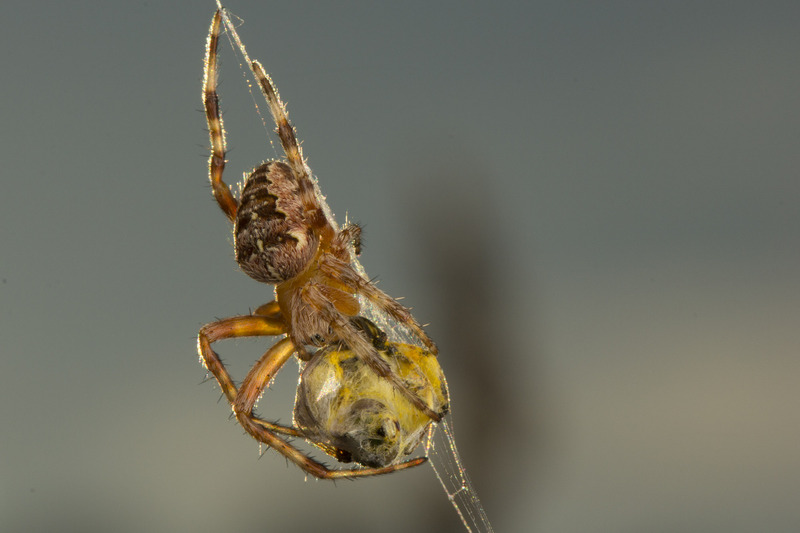 Des rumeurs circulaient à propos de havres épargnés par les insectes. « Pourvu que Main Duck n’ait pas été touchée. » Privé de moyen de communication, Jack n’en aurait le cœur net que s’il parvenait un jour à y poser le pied. Quant à Frank, même avant les évènements, il n’avait jamais été des plus volubiles au sujet de ses proches. Au mois d’août, la civilisation d’avant l’infestation aurait aussi bien pu être un mythe, l’histoire d’un éden idyllique que l’on racontait aux enfants d’après les réminiscences des survivants. On entendait même parler d’une secte vénérant les guêpes. Des croyants extrémistes citaient les textes anciens, convaincus qu’il s’agissait d’une réédition augmentée de la huitième plaie d’Égypte. Un fléau divin prophétisé. L’apocalypse. La fin. Le roman est disponible en librairie et sur amazon. I have always thought of myself as extremely fortunate and blessed to have made a career in entomology. The main reason is that 99.9% of all entomologists I have met and come to know over the years have been extremely nice people. 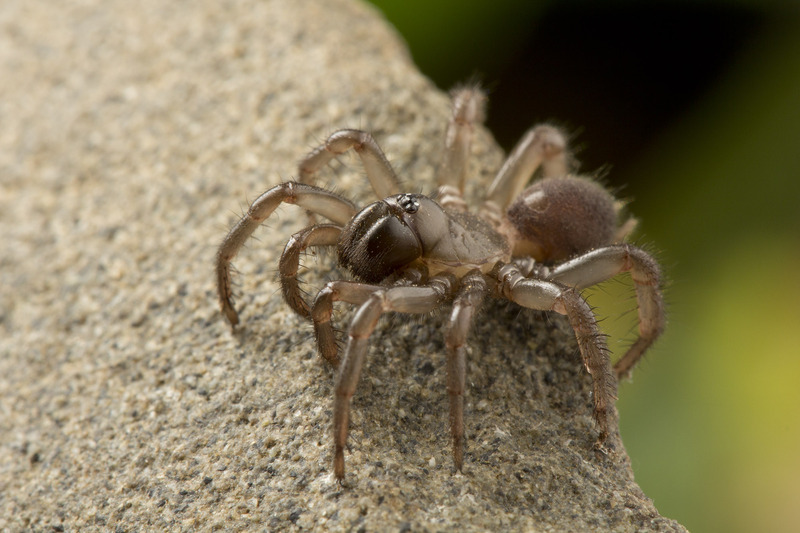 Like most entomologists, I was interested in animals (which in my case included insects and spiders) at a young age. Many of my friends probably considered me a bit odd, but that’s as far as it went as far as I recall. Unfortunately, that is not always the case as this story reveals. The other day I (along with a large number of people on Twitter) got to witness this kindness in action in a way that warms my heart. Nicole Spencer, a concerned mother, sent a request to the Entomological Society of Canada (ESC) regarding her young daughter, Sophia, who happens to love insects and wants to become an entomologist when she grows up. Sophia’s interest has somehow led to teasing and outright bullying in school, however. Fortunately Sophia’s mom understands the importance of nurturing her daughter’s interest, as did my mother even though I kept spiders in jars in my bedroom. Nicole’s and Sophia’s heartfelt letter was passed on to Morgan Jackson (@BioInFocus), who promptly posted a tweet on behalf of the ESC (@CanEntomologist) asking entomologists to help out. This tweet, which displayed the letter, included the hashtag #BugsR4Girls, and it quickly went viral. Within a very short period, Morgan had amassed a list of 100+ people willing to assist, along with a number of additional offers from non-entomologists. An offer even came from celebrity Dominic Monaghan, British actor and host of the television program Wild Things with Dominic Monaghan. You can get the gist of it all from the Storify that Morgan put together. The huge response led to interest from media, and Sophia and her mom were featured on Buzzfeed Canada, where the whole story is revealed. It hasn’t ended there. Another media story came from LFPress, and Sophia’s story even made the front page of the Toronto Star! In addition, numerous tweets have been posted with or without the hashtag, and above I have reproduced 3 (but there are so many more that you really need to look for yourself). I also posted about this on my Facebook Page, and the story was shared by others there. The comments from this one really says it all! I mentioned non-entomologists. Here is an open letter to Sophia (called Beatrix in the letter because the author didn’t know her name at the time) from a science communicator. On the one hand this is a story about a little girl who has big dreams. On the other hand it is a story about the future of women in STEM. Sophia has dreams about becoming a scientist, but both she and her mother are uncertain of what possibilities are out there. Many other young children are in the same boat, I’m sure. But the journey starts at home with parents encouraging children to believe that they can be or do whatever they set their minds to. Last Friday I listened to a CBC Radio show with Maria Issa, a Canadian scientist who started in life just like Sophia by daydreaming and watching lady bugs. In spite of the odds being stacked high against her success, she made it, but many are discouraged, which later affects their self-confidence. My experience is that there is no gender difference in ability – in fact women mature sooner and are more focused than men IMHO. And the increasing number of brilliant female scientists in entomology is a case in point. Luckily for Sophia, she has an encouraging mother. Whether or not she becomes an entomologist is not the point. The point is that she believes in the possibility. For me, Sophia’s story is a wonderful, multifaceted teachable moment. With all her new friends, Sophia will do just fine. I wish her all the luck in the world. I am sure many folks out there know what it is like to rent their very first apartment, only to find that the place has a major infestation of some noxious pest. Well, fellow ESC member Catherine Scott and I have just rented our first apartment in Gualaco, Honduras, and boy does it ever have an infestation! 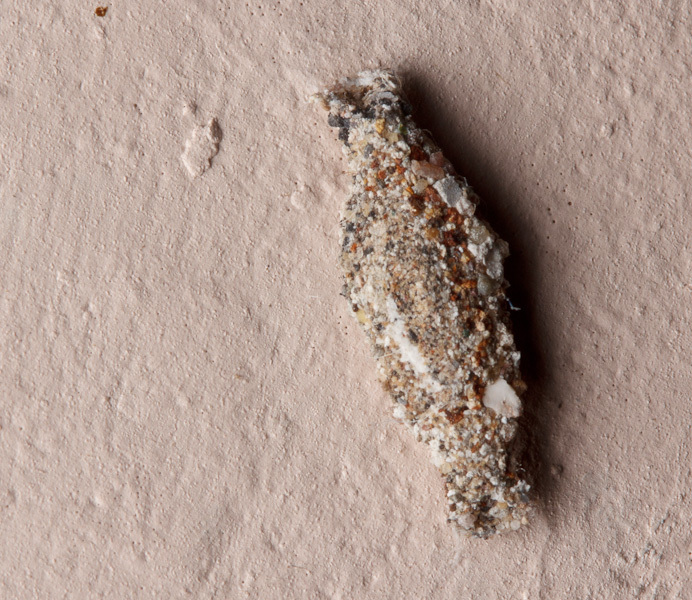 These are the dreaded household casebearer, Phereoeca uterella (Tineidae), and there are tons of the wandering larvae all over the walls! Luckily we have other familiar allies, the Pholcids, which are in great abundance. This infestation will be easy to manage provided we take care of the moths’ food sources. This is definitely not the worst infestation I have experienced. Allies in the fight against clothes moths! 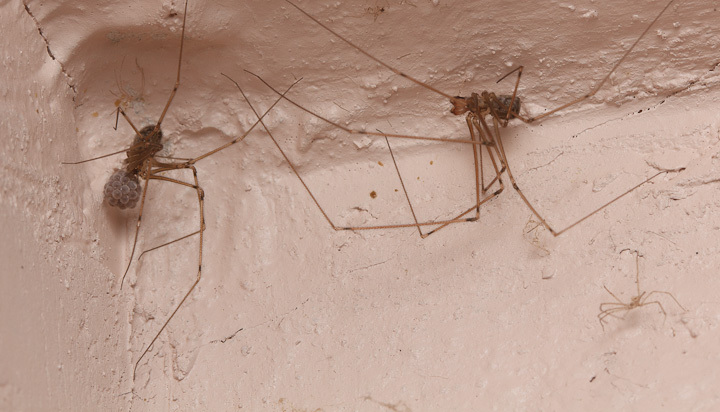 Anyway, these are the most obvious insects in our new home. Please share below about any experiences with first-apartment infestations you may have had! A few weeks ago my most recently graduated Master’s student took a few days off to attend the UNBC convocation ceremony. Knowing her former supervisor’s fondness of red wine (which several of my other graduate students have magically discovered as well – go figure! ), and no doubt well mentored in the important aspects of oenology by her entomologist father, she kindly presented me with a bottle of Idaho wine aptly named “Entomology”. The vineyard in question has a series of ‘ology’ wines, and appropriately, the importance of entomology has been recognized in this one. This welcome gift, along with other wines I had purchased solely because they had an insect on the label, caused me to ponder the connection between insects and wine. It should be added that apart from a long-standing preference of certain varieties of red wine, label design and price are pretty much my only criteria for selection of wines to purchase, as my olfactory senses have long been impaired after years of sinus infections. Insects have had enormous significance in viticulture. Interestingly, pollinators do not appear to play a significant role, as the wine grape, Vitis vinifera L. (Vitaceae) is primarily wind pollinated. The negative impact of one insect on viticulture, on the other hand, provides for a fascinating story of applied interdisciplinarity, long before that concept became a fad. In an entomological detective story, elements of international politics, bureaucratic intrigue, the struggle between Darwinian evolution and creationism, invasive insect ecology, plant resistance, systematics, are interwoven like a movie script leading to the establishment of the fledgling discipline of economic entomology, with several entomologists the heroes (prominent among them Charles V. Riley) saving the damsel in distress (French viticulture) (Sorensen et al. 2008). I speak of course of the impact of the grape phylloxera, Daktulosphaira vitifoliae (Fitch) (Hemiptera: Phylloxeridae), an introduced insect from North America, on the French wine industry. 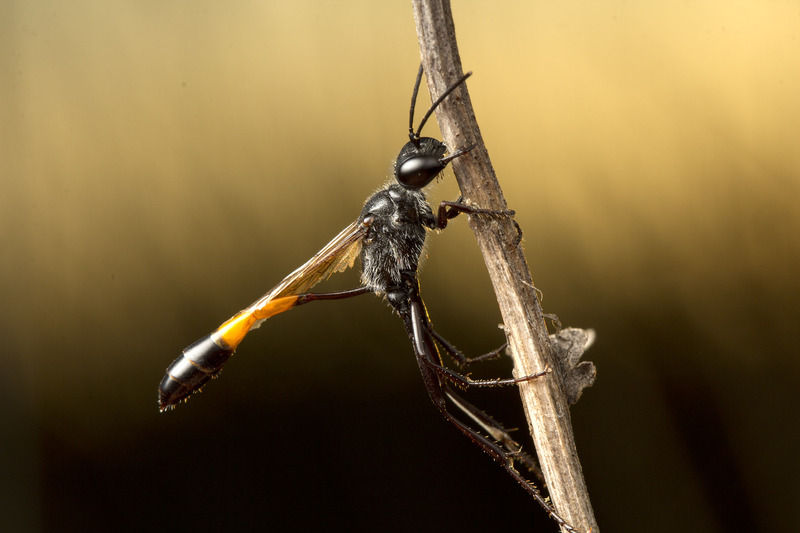 At one point this little insect threatened the very existence of the industry, which at the time supported a sizeable portion of the French economy (Smith 1992, Sorensen et al. 2008). A simple Google Scholar search reveals that phylloxera remains a significant issue and is subject to continuing research worldwide (Granett et al. 2001). Corrie et al. (2002) even noted that phylloxera “is a viticultural pest that in the past has devastated vineyards worldwide, yet little is known about this insect’s biology”. Apart from the “Entomology” wine, which I haven’t tasted yet, I have four other wines, falling in two categories. Two are organic wines, and have butterflies on the label, while the other two labels are adorned by ants. The descriptions below are from other sources, as my inferior olfactory system cannot do wines justice. Suffice it to say I like them all. 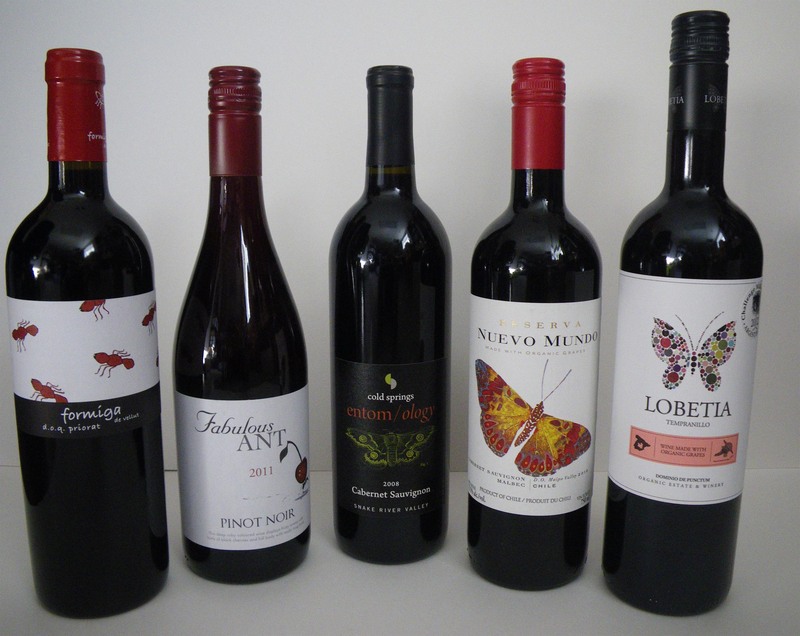 Five wines with labels adorned with insects. In today’s wine market, it seems that eye-catching labels are important competition tools. I wonder if entomophobic customers buy any of these? Nuevo Mundo Reserva Cabernet-Malbec represents the type of wine I enjoy with a “big bouquet of dark cherries and blackberry with hints of sweet spice on the palate” (hint to future students!). The labels of all their wines have butterflies, no doubt signifying that it is an organic product and certified 100% carbon neutral. This wine is produced in the Maipo Valley, Chile, aged in French oak for a year, and sold for slightly under $16 in BC Liquor stores. Domino de Punctum Lobetia is an organic Tempranillo wine produced by the Punctum Estate in La Mancha, Spain. It is described as having a “cherry colour with a violet shade indicating its youth. On the nose you’ll find fresh cherries and other red berries, with similar notes on the palate that shows moderate tannins”, and for $12.99 this is a very price-worthy wine. Fabulous Ant is a Pinot Noir from Tolna, Hungary, which at $12.99 is a great buy. I have not been a fan of Pinot Noir, but I quite enjoy this wine described as having “cherry, strawberry and clove aromas on the nose and a silky, medium-bodied palate”. The label features an ant carrying a cherry, rather than a grape, perhaps indicating the predominance of cherry. This is a wine that I would not have picked as Hungary doesn’t strike me as a primary wine producing country, at least not of the types of wine I enjoy. However, this wine was awarded a Gold Medal at the Berlin Wine Show 2013, reflecting the emergence of yet another interesting wine producing region worth paying attention to. Formiga de Vellut is a Carignan-Grenache-Syrah blend from the Priorat region in Spain, and is the most expensive of the wines I have chosen. At under $30 it is still worthy of a try by any entomologically inclined wine aficionado, however. I rarely spend that much on wine, but with ants on the label, how can I resist? It is described by Anthony Gismondi (http://www.gismondionwine.com/), who gave it a rating of 91 points, as a “spicy, floral, curry, black peppery, liquorice scented red.” He goes on to write: “Love the dry, supple palate and its smoky, peppery, black cherry jam and meaty, licorice and cedar flavours.” I agree with Mr. Gismondi (at least with respect to what I am able to perceive)! Finally, the interesting Idaho wine Entomology. Produced by the Cold Springs Winery located halfway between Boise and Twin Falls, Idaho, this is a Cabernet-Syrah blend which according to the vineyards own website is a medium bodied wine with red fruits and dried figs on the nose and blueberry on the palate. The label depicts a Polyphemus moth, which is described as a “pollinator moth”, so the entomology part may be a bit off target, but hey, if the wine is good we can live with some slight miscues. There are obviously many other wines with an insect connection that I have not seen. I am hoping for suggestions in response to this blog post! Actual samples are welcome as well…. Corrie, A.M., R.H. Crozier, R. Van Heeswijck, and A.A. Hoffmann. 2002. Clonal reproduction and population genetic structure of grape phylloxera, Daktulosphaira vitifoliae, in Australia. Heredity 88: 203–211. Granett, J., M.A. Walker, L. Kocsis, and A.D. Omer. 2001. Biology and management of grape Phylloxera. Annual Review of Entomology 46: 387-412. Smith, E.H. 1992. The grape phylloxera. A celebration of its own. American Entomologist 38(4): 212-221. Sorensen, W.C., E.H. Smith, J. Smith, and Y. Carton. 2008. Charles V. Riley, France and Phylloxera. American Entomologist 54(3): 134-149.